On Sunday, September 22nd, players enjoyed the first free day. But the most enthusiastic participants preferred to go for a fascinating trip to the Old Town. Olga Girya, Alexandra Kosteniuk, Antoaneta Stefanova, Kateryna Lagno, Elina Danielian and Guliskhan Nakhbayeva together with the commentator Evgenij Miroshnichenko have visited the Museum of Applied Arts for its beautifully hand-crafted exhibits, stopped at the old food and clothes market "Chor-Su" looking for some local souvenirs and delicious, "brain-fuelling" Uzbek fruits and almonds, and those who still desired for more proceeded to the Centre of Muslim Clergy to see the gorgeous Khast Imam Mosque. A plenty of pictures is available here. The fourth round didn't change anything in the group of leaders: Humpy Koneru and Harika Dronavalli drew with Kateryna Lagno and Ju Wenjun accordingly, another Chinese Zhao Xue was lucky to save the game against Guliskhan Nakhbayeva, and Elina Danielian couldn't get anything from the position with well defending Antoaneta Stefanova and also signed a piece. Russian players Alexandra Kosteniuk and Olga Girya managed to score the first full point each by winning their games against Bela Khotenashvili and Nafisa Muminova. Before the first free day Humpy Koneru is the sole leader with 3.5 points out of 4, Harika Dronavalli has 3, Zhao Xue and Kateryna Lagno - 2.5. The full standings table is avaliable here. Pictures of the 4th round and press-conferences. In the third round all the games were resultative. Indian players Humpy Koneru and Harika Dronavalli quite confidently won their games with white pieces against Russians Alexandra Kosteniuk and Olga Girya accordingly. Humpy became the sole leader with 3 points, Harika is half-point behind her. Bela Khotenashvili overplayed Zhao Xue to join her on 3rd place together with Kateryna Lagno, who managed to score a point against Elina Danielian. Antoaneta Stefanova lost control on the game in a completely winning situation against Ju Wenjun, and the Chinese used this mistake to outplay and join Bulgarian with 50 percent of points. Finally Nafisa Muminova cheered up the Uzbek supporters by beating her long-time opponent at the Asian tournaments Guliskhan Nakhbayeva from Kazakhstan. Pictures from the third round and press-conference. Three of six games in the second round ended up in quick (but not quiet) draws: Ju Wenjun didn't find a winning move against Kateryna Lagno, Olga Girya had a minimum advantage against Antoaneta Stefanova, which was not enough for an active play, and Harika Dronavalli got a comfortable position with Guliskhan Nakhbayeva, and the game logically went to a half-point. Two rating-leaders of Tashkent Grand Prix managed to take the lead both winning with black pieces: Zhao Xue outplayed Alexandra Kosteniuk and Humpy Koneru again had the longest but successful battle - today against Elina Danielian. The novice of the Grand Prix Nafisa Muminova overplayed Bela Khotenashvili in the opening but couldn't find a winning move and blundered in a time trouble. Pictures from the second round and press-conference. The first game of Women's Grand Prix in Tashkent became quite tough for the players. Three hours after the first move was made by FIDE President Kirsan Ilyumzhinov in the game of Nafisa Muminova and Zhao Xue, most of the battles just reached the middle-games. 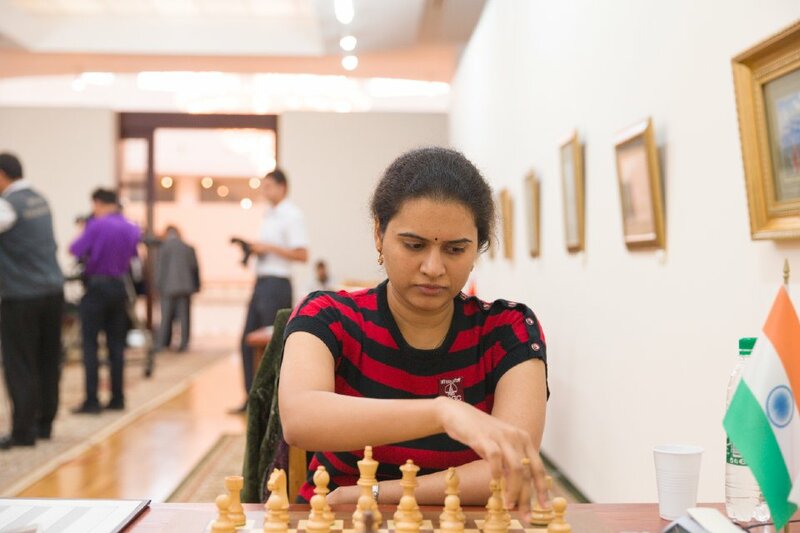 Four participants managed to score their first points in the tournament: top-seeded Humpy Koneru won the longest battle against Ju Wenjun, Antoaneta Stefanova and Zhao Xue outplayed the newcomers of the Grand Prix Series Guliskhan Nakhbayeva and Nafisa Muminova accordingly, and Harika Dronavalli succeeded against Bela Khotenashvili. The games Elina Danielian against Alexandra Kosteniuk and Kateryna Lagno versus Olga Girya ended up in draws. Pictures from the first round and press-conference. 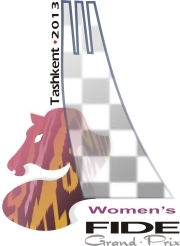 Tashkent Women's Grand Prix has started!